Slam Poetry. Tragic. Beautiful. Hits home. "The first time I saw her..
All the ticks, all the constantly refreshing images just disappeared. But when I saw her, the only thing I could think about was the hairpin curve of her lips.."
Hearts can be so fragile. It's such an intimate experience to expose everything you are to another human being, simply trusting that your heart will be safe with them. When that trust is broken and we become hurt, our world is thrown into disarray. So many emotions engulf us and we lose trust that we can ever give our heart away again. There is such a unique pain which comes from heartbreak; that feeling is indescribable. So we hide our hearts away in fear, hoping they cannot be hurt as long as they aren't there to be broken. Yet, no matter how hard you try, you cannot hide your heart. When you listen to a song which brings tears to your eyes, see an event which makes you smile or catch a scent which causes you to remember, the heart begins to reappear. It's those emotions which are stirred up, no matter how bitter or sweet, that come together to create something beautiful. as if this is the first day? * Summary of Leucippus' theory by Diogenes Laertius as found in The Great Thoughts compiled by George Seldes. Life plays us like flutes. 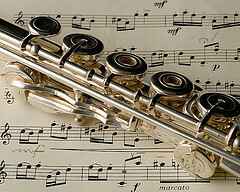 The flute's openings are mind, intellect and the five senses. With egos put aside - these flute openings become pure. Life's breath passes freely though us. Our lives become harmonic. Each of us is so small, so little. How can we expect to know what's going on everywhere? Can an insect crawling along the highway know that it is near a big city? It can't even tell it's on a highway! What's all the current crisis leading to? We as individuals and, even groups, do not have God's eye view. Perhaps, there's a World Mind. Indeed, the internet and all its power to connect us all together all over the world is like a nervous system for a world mind; but, we don't all know it yet. It's said that the whole is greater than the sum of its parts. We can't get a handle, for example, on all the aspects of global warming; but, the world mind (above and beyond the limited view of individuals minds) may coordinate things somewhat intelligently. Still, there's the individual responsibility to do the best we can. To learn what we can. To make our best judgments with limited knowledge and understanding. That we must. Practice integrity. Love's the greatest healer to be found. A woman now but still calling Mom for advice -- always. And she asks me I've been flossing. Not as much as I could be, I say. but they'll notice if you do. You'll be free from the built up crap. Reach the uncomfortable places inbetween. protect yourself from nesting invaders. People sense when one takes time to care for the Self. The Self takes care when it's tended to. Remember to love to floss to meditate. The traveller has to knock at every alien door to come to his own, and one has to wander through all the outer worlds to reach the innermost shrine at the end. Preface to "Meditation: Waking Up to Life"
Here's a reading of the Preface to my book Meditation: Waking Up to Life. light rise from the horizon. As dusk unzips the night, night unzips the dawn. 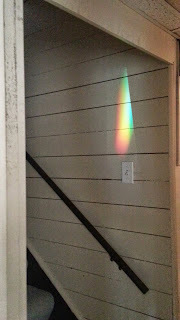 This morning, a rainbow in the stairway. My mind is like a pinwheel. Constantly spinning. There are always gusts. I put up walls to block the element to no avail. The wind won't die down. So it continues to spin, catching the wind. You sit watching cars like a dog. Not really paying attention to the model or color. You sit watching people like an ornithologist. Not really paying attention to the person as much as their simple actions. Why not watch your thoughts? Not paying attention to model or color. Not paying attention to other people or their actions. There is no fee for watching the mind. You don't have to 'pay' attention. And let it play without attachment. A white page seems so daunting. It looks back at you saying, "You have to write perfectly! You are only as good as your words. You will be judged accordingly." That's a lot of pressure from a blank box. Many people end up just looking at it blankly; blank as the box it feels it cannot fill. It's the mind reflecting itself though, trying to grasp onto the ego which says it must be the best. It's the ego which wants to be fed. It's the ego which traps us in our little boxes. Yet, this can change so quickly. Look at it differently. It's now a blank canvas, not a glaring box. Don't be trapped in the expectations of a white box. Free your mind and write. but usually there's a vale over it. and deep understanding of reality. quiet stillness and longing are required. Audio recording by Josh Williams (artwork and music) and Americ Azevedo (voice). The book of life is written in the heart. It is read by those whose eyes have been washed by tears. The deepest wisdom is earned in pain, despair, and disappointment. But, past that – there comes a lightness and freedom that is beyond everyday human understanding – call it divine. We are like butterflies breaking out of our cocoons! Global technological civilization is living way off the ground. Too many people never feel the earth, nor see and sense the wonder of the sky above. "Time" is lost, replaced by an endless drone of instant messages, emails, news flashes, and instant videos. Endless rapid communication near and far. 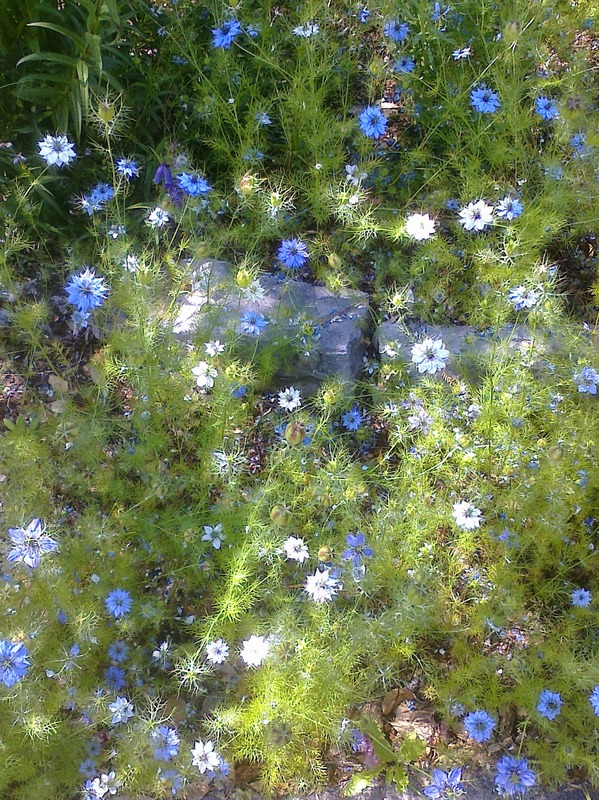 The only truly subversive act is to STOP, breathe deeply and listen for silence - the voice of Being - for a little while. Abandon doing for being. Be still. It's through others that we live. Civilization - with all it's technology - abstracts us from each other - to the point that symbols becomes life - that is false. Today, take back our lives together - see ourselves in others. Worth listening to. Alan Watts is classic. He opened so many people up to Eastern religion. He was an important part of the "beatnik" era. The man for the job - having been a former Episcopalian minister. "simple teachings for being present". totally complex language and ideas. Look! Look! Be! Just be. Count the money you have, not the money you don't have. Socratic dialogue has a center, a facilitator. Bohmian dialogue, however, has no center or leader, rather everyone is responsible. It is a working through the word together. Listening, suspending judgement, and sharing happen. There is no "topic". The topics emerge as participants speak, listen, respond or stay quiet. A Bohmian dialogue group is from ten to forty members. Because of its open ended format, it truly reflects a microcosm of the wider culture. Philosophy - What's It Good For? In my last year at the University of California at Irvine, I switched majors from biology to philosophy. Friends asked me, "What good is philosophy?" What they really meant was, "Can you make any money at it?" I knew people with lots of money, but little meaning in their lives. They seemed to be lost in games and pastimes. They worked without questioning the purpose or value of their work. I was interested in meaning, not money, but the people around me didn't share my feeling. Most of them believed that only money was real. "Does philosophy help you make money?" My answer is personal. All the really amazing jobs I've held came from my grounding in philosophy. I became a computer programmer because my boss assumed that philosophy made one logical. I got promotions to higher levels of responsibility because I saw the "big picture" in the organizations I worked for. One day I found myself the acting CEO of several small technology companies in trouble. Why? Because my philosophical perspective gave me a high tolerance for ambiguity, which allowed me to go into unknown and almost unknowable situations again and again. So yes -- philosophy can help you make money. But meaning, understanding, and wisdom are the real payoffs. My father was a Portuguese dairy milker in Southern California. My mother always worried when he was late coming home after work. She feared he would have an accident on the farm (cows are not always passive). She could be left destitute, with her only child—me. After all, my father's father had died in Massachusetts when my father was one year old, and my grandmother had no financial support. Grandmother returned to the Azores with my father when she ran out of money. Twenty years later my father returned to the U.S., and worked till he had enough money to send for us. My father worked seven days a week; sometimes two shifts a day. At that time—the 50's and early 60's—one dairy farm laborer's income could support his family. Mother was the homemaker. My father earned a modest salary, but he saved enough money to buy a house with a 50% down payment. He even arranged to pay off the house early with a couple of large lump sum payments. He bought the family car with cash. He did not believe in credit or debt. Later he took a modest job at Lever Brothers in Los Angeles. He felt he was in heaven because he only had to work one shift (plus occasional overtime) to feed the family. When my father was an old man, he told me one day in simple Portuguese, "I don't have a big house, I don't have a fancy car, but what I have is clean and good. I like what I've earned. Some people look down on me for not having more. Still, I am happy with what I have. It's good to be satisfied. Enough is enough." One of the greatest miracles - the emerging maps and images of the structure of the whole universe. All this knowledge is tentative. We will never get to the bottom of it all. Among the greatest human-cosmic adventures. Filaments represent strings of galaxies across the universe. our way into this realization. others say that it is God. to realize mind's true nature. Today, go deeper into your meditation. Look for the quiet zones between your thoughts. Expand these moments of quiet. We recently received this letter in the email. Worth sharing. Writer gave permission for republishing in the Philosopher-at-Large blog. Riding the bus into work this morning I looked around at all my fellow patrons. Wondering, my eyes meet with the only other person not looking down at an electronic device. We share a moment in a smile. As I scan around at everyone else, they are only shadows of people. Physically near but consciously lost in other universes. It made me want to break down and cry in the middle of the bus. I wanted to grieve for something modern humanity seems to have lost. Not that I don't love technology and it's awesomeness. But I can just imagine the raw power that would exist within this bus if all these people were present to one another - the ideas that would spread like wildfire, the shared experience of one another. It seems almost revolutionary almost radical. I looked back at the woman, she smiled again, knowingly. Anyway, I wanted to share. One of those moments when reality humbles. Recorded while walking around in the early morning. when you give it away. A soundscape for the mind, heart, and soul. The following is a ten step process for making your visions happen. I developed it with hundreds of students in my PACS 164A (Introduction to Nonviolence) class at the University of California, Berkeley. You can do it by yourself; however, it's more powerful if you do it with others. We had over 400 students go through this process. All kinds of wonderful projects emerged. Lives where changed. Thousands of people outside our classes (even in foreign countries) received the benefits of student visions for good turned into tangible actions in the world. A personal vision contributing a nonviolent sustainable good society. Write down responses to the following steps. Read your responses. Rewrite as you become clearer on your project. Share with others what you are doing. Take feedback. Make adjustments if needed. Rewrite again. Act. Feedback. Adjust. Act again. Actualize. A short descriptive title for your personal vision. On a singe sheet of paper, describe your current vision. Keep in mind that it is perfectly okay to now have a different vision than the one you originally declared in class. A brief summary of what you are trying to accomplish. The “landscape” of people, problems, and projects your vision is embedded within. Why is it needed? Who else is doing it? How can you do it better? Identify the limiting beliefs that slow down or stop you and re-frame them into affirmations supporting your vision. List specific goals that must be met in order to attain your vision. (Could be one or several interdependent goals.) What resources do you need in terms of time, people, knowledge, money, and materials? What overall types of actions are required? Provide specific steps and timelines for attaining each goal. Let all of the above “hit the road”. Moving from thought to action. What actions did you already accomplish to actualize your vision? What actions are you undertaking at this time? What’s ahead on your "to do list" for today, tomorrow, next week, next month, next year, etc.? Evaluate, reevaluate, and reevaluate again your ideas and/or process. What problems, complexities or issues are you running into? What modifications are, or have been, required of your plan? Where are you now? For example, your personal experience with the vision project, your thoughts about doing this in the class context, or anything else. Even on a loud street - we can find "heaven on earth"
in a still quiet place within ourselves. We are born with true wealth, but constantly forget to realize the wealth we already have. Failing to acknowledge our true wealth we keep grasping for more, like hungry ghosts who are never satisfied while constantly eating! Thus, we go about despoiling the earth, corrupting relationships, and twisting societies into grotesque forms that promote needless suffering for ourselves, others, and the earth-at-large. Realizing true wealth leads to personal, interpersonal, and transpersonal fulfillment. Furthermore, the long term survival of life on earth depends upon true wealth realization. We need deep psychological and spiritual healing of individuals, groups, communities, nations and the earth at large. The bedrock of this healing is a return to this present moment, not in a selfish, narrow way, but in a way that includes the totality of what is here-there as well as past-present-future. It is nothing less then the ancient ideal of enlightenment of all sentient beings. We may have money but little time. We may have time but no money. We may have love but neither time nor money. Coming to a point of balance between these factors is mastery of the art of living which is true wealth. It’s been said, "He who dies with the most toys, wins!" This is both true and not-true. Some say, “money does not matter" -- but quietly and privately we fear poverty. Fear of homelessness, hunger, and a drop in social status drives many to insane focus on money at any cost. If you are poor with a positive state of mind, you may still suffer a sense of emotion degradation just from the social stigma of poverty. Such fears are well founded in societies that fail to attain true wealth, since the members of those societies know they can and do fall into poverty. A world based on fear cannot be wealthy in any real sense. Our possessions can own us. Attach ourselves to our possessions and we immediately loose our sense of true wealth. The very desire for possessions not yet owned breeds greed and lust. We suffer endless rounds of grasping for the goods that will make us “happy and full”. We get “more”, but immediately need to get “more” again. There is no end in sight. “Business as usual” means a life filled with urgency, running to keep up, and without time. “Oh! If only I had more money, I would do the work I love.” Or, “If I had that big new house on the hill, people would respect and love me. My wife would stay with me.” Such conceptions of wealth are very childish. Many of the “richest” people in the world are always “hungry”. Much shopping is for useless trinkets which act as displacements for lack of meaning and love in life. Many a parent, for example, who has no time for talking with their children, will just buy toys. Most people identify with the stuff that they own as an extension of their personal ego. Consider automobiles and houses which function as symbols of wealth, but are also destructive to the natural capital of nature. True wealth goes beyond the concerns of the skin encapsulated ego. True wealth includes the social, political, and transpersonal levels. What about a friend or relative who needs help? What about broader environmental concerns? True wealth goes beyond the individual, and even national, egos. What you spend your money on, changes, impacts society. Buy an SUV because you like personal leg room, but consume the air and warm the environment for everyone else as well as yourself. Time, love and money are the three legs of truth wealth’s stool. The time allotted to your life is utterly fundamental; a finite constantly depleting resource. Have you loved enough? Have you made money, invested money, and spent money in a way that sustains life on this earth for seven generations to come? Most don’t think we have time for these questions. We can be occupied working for money that we buy cars, drive to places, buy food from thousands of miles away, thus depleting earth’s natural capital without noticing it. Many people will say that they are making good money, but have no sense of free time. They hope that someday in the future they will have time for the things they really enjoy like family and nature. Often that day never comes. I once worked at the headquarters of Standard Oil. My life had become the company. When I went home, my mind was preoccupied with Standard Oil. 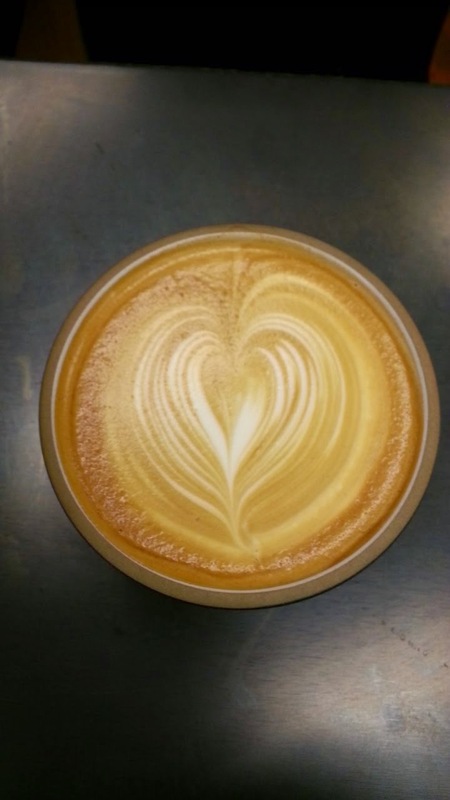 One day I awoke to realize that I worked in an environment that was loveless. I had money, but love and time where in short supply. What is money? It’s a symbol for value, it is information; it is abstract. Humans are driven by symbols to go to war and fight for abstract causes. Money, being utterly abstract, is often valued more for itself than for what it actually buys – it is the ultimate “field of dreams”. Individuals and societies measure self-worth by financial net-worth, but this devalues the deeper qualities of awareness and soul that are the true source of all value. Walking by a beautiful garden filled with iris flowers, someone might think: “I don’t own it, how unfortunate!” So they miss the simple of joy of the experience. You don’t need to own things in order to enjoy them. To really “have” something we must be present to it. Taking time to appreciate the existence of an object, a friend, or a place is really having that object before us. Wealth is transpersonal because it is “beyond the personal”. Everything that we do to accumulate wealth depends on past human efforts; as well as the Earth, the solar system, and the cosmos at large. You are not your own source of supply. Companies create private wealth by extracting resources from nature as if nature is "free" and unlimited. Water, for example, was always free. Industrial pollution turns water into another commodity with price barriers for the poor and helpless. This situation creates transpersonal poverty. There can be a wealth of time. Societies can make time for living, for singing, for family, for just sitting and watching. This wealth is greater than the focus on consuming goods and working to pump up the "gross domestic product". A man can become homeless and starve to death in a big city filled with apartments, hotels, and food. It is not just lack of money that brings us to the homeless state. 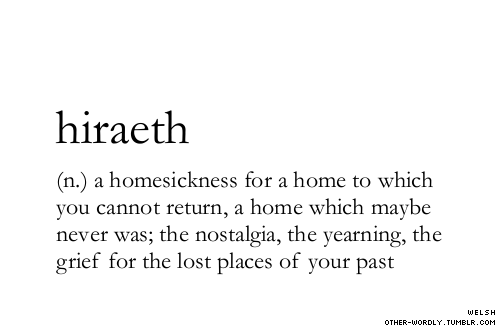 Depression, lack of faith in life, lack of friends, and lack of family ties can bring one to this place. Call it lack of love. We cannot be truly wealthy in such societies with extremes of poverty and riches. The expansive homes of the few wealthy are beautiful, but the society is really poor and ugly. So many become restless and debased is such a society. I cannot relax in a mansion without security systems and insensitivity to the disparity around me. Just like the Buddhists who say they cannot become enlightened until everyone is enlightened, you and I cannot be truly wealthy until all are “wealthy”. Clearly, a new meaning of wealth needs to emerge for the culture at large. An investor will diversify her assets into different categories of assets so as to balance out risk with the changing tides of market fortunes. The seeker of true wealth balances the assets of time, love and money across the dimensions of personal, interpersonal and transpersonal – thus optimizing abundant life for themselves, neighbors, future generations, and Earth. These categories are not absolute; they are starting points to help us on the road to true wealth realization. Make up your own categories and lists. Begin from where you are, and expand to include larger dimensions of wealth. Wealth is usually defined by external measures: affluence, millionaire money levels, ownership and control of companies, and influence over people. Look deeper; and, there is the feeling of being wealthy or poor more or less independent of external wealth measures. Work with that feeling so as to become more independent of the strictly personal illusions of money-wealth and poverty. Remember who you really are. This means giving yourself the time to contact your own ultimate wealth: the soul. Your own soul is your own ultimate wealth. As you begin to be wealthy in yourself, you will be able to extend your sense of wealth to include others and reality at large. Every soul is the same soul – only covered by different personality, history and circumstances. I could have been any one of the other people that I see everyday. To awaken to this very moment is truth wealth. This moment is in truth all we really have and own. Everything else is just on loan; we must give it all back in the end. A passing moment in "our" universe. returning from the 6th to the 1st Day! When did it begin? Anyone of us around for that event? Was it the sound of “aum” as suggested in the ancient Upanishads? Physicists and cosmetologists project backwards using mathematical time travel. They say we can tune into the sound of the cosmic creation event, the Big Bang. You can “hear” that creation sound on your radio or television as the static on channels with no active broadcast stations – it’s a small percentage of that static! The shock waves of creation are still with us. “Universe” = “uni” + “verse” suggesting “One song”. The universe sings one song. Listen, listen, and listen. The song is love. Creation is not over. New varieties of animal and plant species are still arriving. Old mountains falling. Creation is a big long winded event. Now is the moment of creation. “Undo the work of Creation” – come into presence where you are. It begins here and now. Again and again. Now create. “Let there be….” Just fill in the blanks. that there is someone on the same frequency out there. the frequency of the universe. A beautiful idea: that we can tune ourselves to the frequency of the universe! What could that frequency be? Perhaps the ringing echoes of the Big Bang creation event. Maybe the sound of Aum (om) as suggested in the Upanishads. Or, is it the frequency of truth - which only a quiet soul can hear? "The world's religions are rooted in experiences of cosmic consciousness. Often these experiences came after long periods of isolation and fasting. By looking at this common root, we can come to greater understanding of the unity within the diversity of religions." "If you are not having fun, you are not learning." That was my motto when teaching database theory and administration. One day a student surprised me. He was quoting back me my own motto! Meditation is one of the best ways to unlearn, to break out of old habits, to let go of the past and be more present to what is here now. Humans are born learners – in youth often experiencing a certain ecstasy in learning itself. To stay young keep learning something new. Open up a different kind of magazine. Keep changing the environment that you're looking at so that your mind works at mastering new vistas. You're old when you can't be bothered to learn new things. A long time ago my first child told me, “When you stop learning you die.” I think he was eight or seven years old at the time. Learn to unlearn. Question authority as it presents itself in books, all the media, and interpersonal relationships. Learning to unlearn is one of the greatest attainments in our lives; unlearning opens up space for new knowledge, skills, and insights. Clyde Leland's brilliant musical social political commentary inspired by the original Occupy Movement. Clyde's "New American OccupPie 1" transcends the Occupy Movement, deserving a place within mainstream social-political-entertainment culture. This is music and song for sparking dialogue among friends and critics. Consciousness is obvious, mysterious, unthinkable, and infinitely deep. Scientists and philosophers often write convoluted exhausting boring explanations of consciousness; but that is not consciousness. 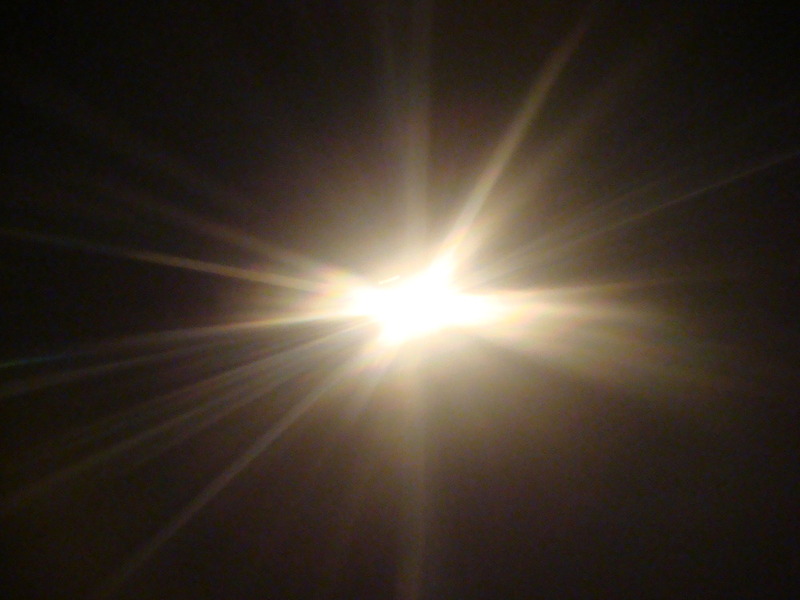 Consciousness' luminous reality is to be intuited directly and effortlessly. Consider the Dzogchen teachings. Tsoknyi Rinpoche sums it up brilliantly: “Let the display of thoughts, emotions, and perceptions unfold naturally and without clinging, like clouds passing through an open sky.” Consciousness is like the sky – open to everything passing through it but ultimately unaffected. Like a mirror – it reflects everything that passes by while staying clear and empty. We live mostly in separation consciousness; feeling-thinking "this or that" in a world of distinct, somewhat unrelated objects. Me and you. Us and them. Light and dark - and shades in-between. The universe is infused with consciousness. But it is unfocused and not self-aware. Life becomes progressively more intelligent until it become self-aware, self-conscious. Feeding back on itself. Learning from its own successes and mistakes. Unitive, union, or cosmic consciousness is a state of alive luminous oneness. This state is more likely to persist while discursive dualistic thought is suspended. At one extreme it a bath of bliss. And, we care little for the “details” of maintaining the body. In a more ordinary functional life, we feel love and unity with others while still aware of separate persons and objects. “Dzogchen: The Sky of Wisdom”, Shambhala Sun, July 2014, page 60. Living is showing up for our own lives. No one else can do it for you! Where would you “be” if you don’t know you’re here? “Presencing” is the process of coming to full presence. Real presence is quiet and still. An old friend asked, "What happens after you die?" Without thought, I said, "Nothing". They looked stunned. Either way it is nothing. If you really don't die – nothing changed. You die – nothing changed. Consider this deeply. It is not so much about being alive or dead; it’s being awake to this moment that is life. The intensity of wakefulness is how alive you are. Good sleep, paradoxically, is a sound basis for stable wakefulness. Waking up requires going to sleep. Remember to exercise, eat good food and keep good company. Attend to the general environment all around – the air, the ambient sounds, the tone of the times, and so forth. That means to adjust your distance closer or further away as needed. Enhance your inner resolve to be alive, to be awake. Your real livelihood is your real life which depends on bringing your attention back to the present here and now. Every morning, our place on earth turns toward our local star – the sun. And, we, over and over, need to turn toward the life experienced – this very present, ever present moment here and now. This is active intention called “presencing”. 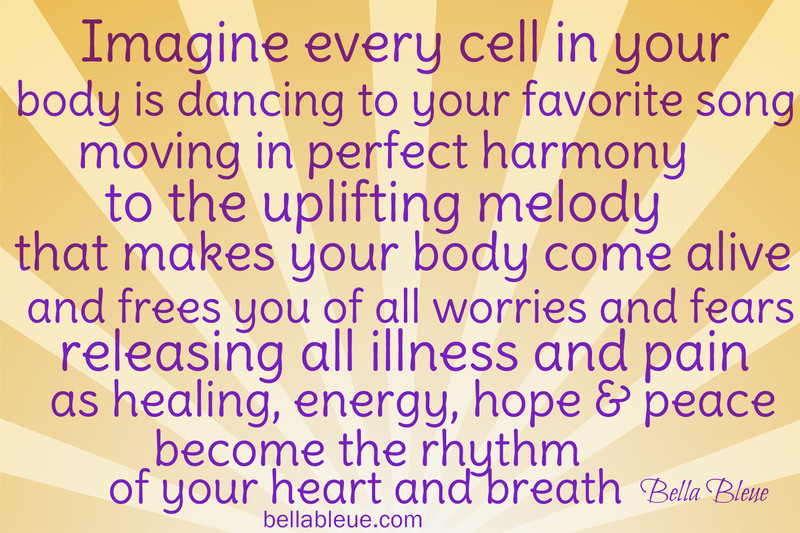 Feel with the whole being, be present to the rich textures of body, mind, and heart! Face life. Live life. Live today. The word “presencing” was introduced to me by Frederika Kreitzer, who was a graduating Philosophy student at UC Berkeley. Thereby turning the noun (present), into a process, a verb (presencing). Image found by looking up "Life" on Google.